Finally, a pocket sized flashlight that produces 1000 lumens of light!The Fenix PD35 TAC (Tactical Edition) LED Flashlight, remains in it's pocket-size form but surpasses the traditional PD35 in performance and tactical employment. Designed with the military and law enforcement professionals in mind, this flashlight is measured at less than 14cm (5.5 inches) long and features up to 1000 lumens in turbo output while throwing it's beam a distance up to 200 meters. 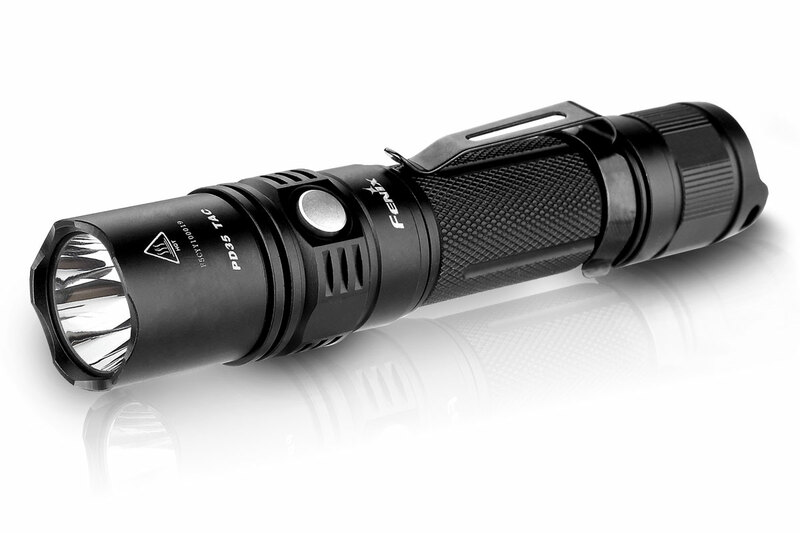 In Outdoor Mode, the PD35 TAC delivers six output modes including a variable strobe. Switch to the new Tactical Mode to activate rear-switch only operation for fast, simplified mode selection of momentary, turbo, low and strobe.